Posted by Vivian on 28 June 2011; This entry is filed under General. 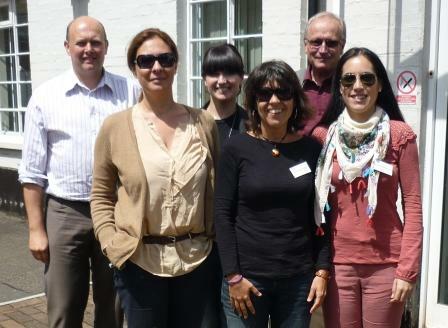 Dormen were asked to meet a small Spanish team from Cadiz, who were researching business mentoring and being hosted in the UK by Exeter University. The team is working on a European Social Funded programme, The Athenea Project, looking at existing mentoring projects in South West England and in Denmark with a view to developing a mentoring programme to address the high unemployment levels, especially among young people in Andalucía. Dormen mentor, Geoff Mullis, shared his experience of business mentoring with the team from Cadiz which led to a lively discussion including Teresa Allwood, Dormen’s Programme Manager.